Apparently it’s a real thing. 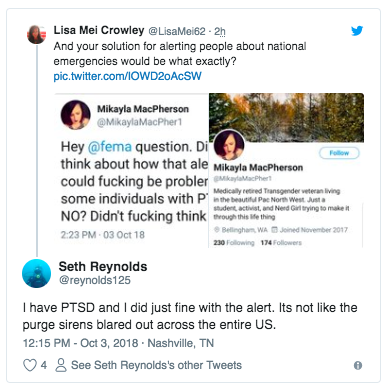 Liberals claiming to be suffering from the disorder took to Twitter to share how the nationwide test shook them to their core. Some claimed that the alert gave them panic attacks. Others said that it reminded them of the false missile alert in Hawaii in January. It's almost as bad as liberal activists being compared to war veterans, which, yes, has actually happened. People who claim to legitimately suffer from Post-Traumatic Stress Disorder (PTSD) said that the noise of the alarm triggered their symptoms. 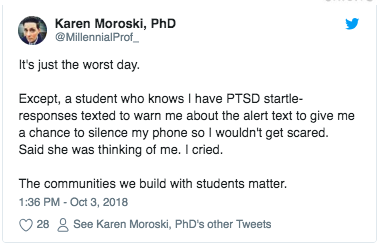 Others had no issue with the alert, including people with actual PTSD. 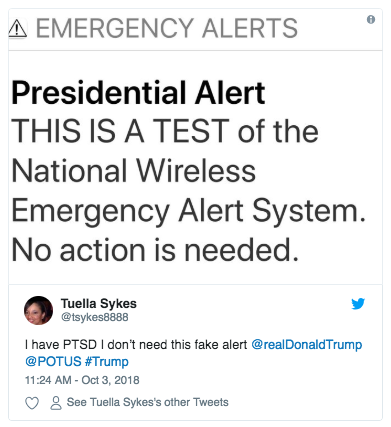 The “Presidential Alert” test was conducted on Oct. 3 in an effort to improve “operational readiness of the infrastructure for distribution of a national message” in the case of a national emergency. It was conducted by FEMA, in coordination with the FCC, according to a press release.